As a frost tolerant and woody plant, bottlebrushes are attractive options for home gardeners. Since they also tolerate drought and damp conditions well, they are showcased throughout landscaped lawns and gardens all over the world. The flower spikes are colorful and full of texture, and the leaves of some bottlebrush varieties are ornamental as well. Since the average lifespan for bottlebrushes is twenty to forty years, they promise beauty and blooms for many years. Although the woody shrub is low maintenance, proper care can help to ensure it continues blooming to its fullest each year. Bottlebrush plants need a very mild climate. If you live in an area cooler than U.S. Department of Agriculture plant hardiness zones 8b through 11, grow bottlebrush in pots that you can move to a protected area for winter. Use a rich, peaty potting soil with a few handfuls of sand added to improve the drainage. If pruned hard every year, the plants will grow in pots as small as 6 to 8 inches in diameter. If you plan to let the shrub grow, you’ll need a large tub. Arrange to plant a bottlebrush shrub in full sun to maximize the amount of blooms and growth of the plant. Find a spot that receives at least 6 hours of sunlight a day for best results. Choose a well-draining soil to plant the bottlebrush. Although bottlebrushes do well in a variety of soil types, they do not take kindly to alkaline type environments. Plant the seeds during spring or summer. Cuttings from mature bottlebrushes may also be used. Do not plant other flowers or plants within five feet of sowing the seed into the soil. Since bottlebrushes tend to expand and grow quite easily, give them room and resist planting other varieties of flowers too close. Apply a low-phosphorus fertilizer to the soil in either the spring or fall. 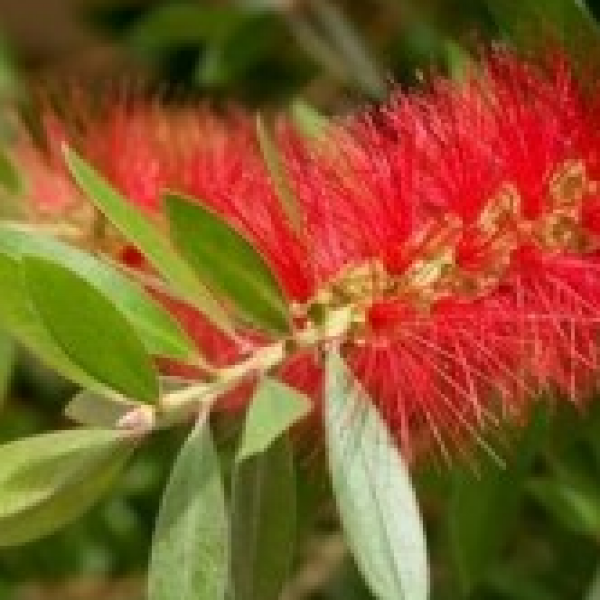 This gives the bottlebrush extra nutrients for a richer soil. When the plant has produced flowers and is thriving, prune the bottlebrush back to desired size and shape. This must be done either early in the season before the flowers have bloomed or after the flowers are finishing. Cut the tips of the branches for early season pruning. Or you may choose to cut behind the finished flowers. Some flowers may have to be sacrificed in order to achieve a desired shape. Pruning helps to keep the shrub compact and attractive as well as encourage re-flowering throughout the season. In extreme heat and dry conditions, give the bottlebrush a deep watering to ensure it prospers. Mulching can help keep out the intense heat in some regions as well. Otherwise, the bottlebrush does not require regular watering other than natural rainfall. If bugs become a problem, use a repellent spray which can be found in most garden centers. The bottlebrush is an excellent low-maintenance plant that, with a little care, will reward gardeners with beautiful displays each year.